Greenwich Village Wooden Chinese Checkers Set Chinatown chinese checkers set  - $24.99 : Bello Games New York, INC.
Chinese Checkers, solid hardwood board. 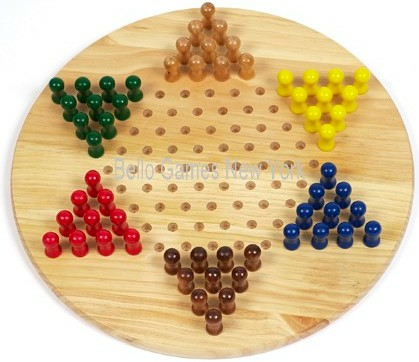 • Complete with 60 colorful wooden peg checkers. • Size: 19 1/2" diameter. Pegs (from board) 1 1/2" H X 3/4" Diameter.